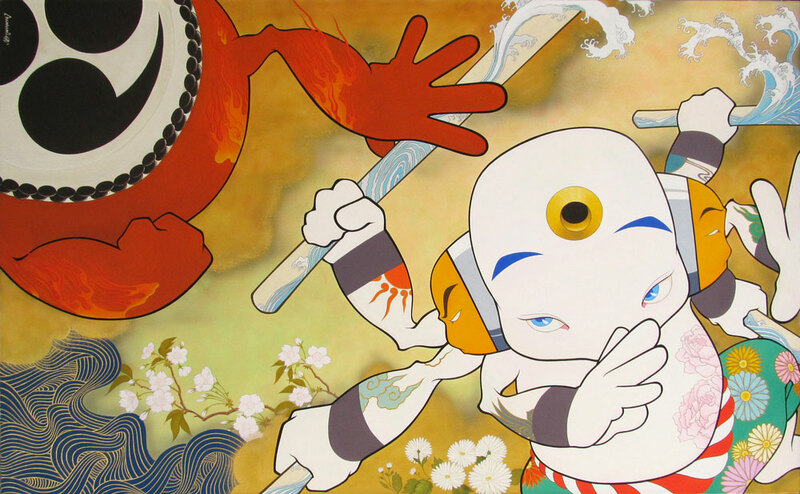 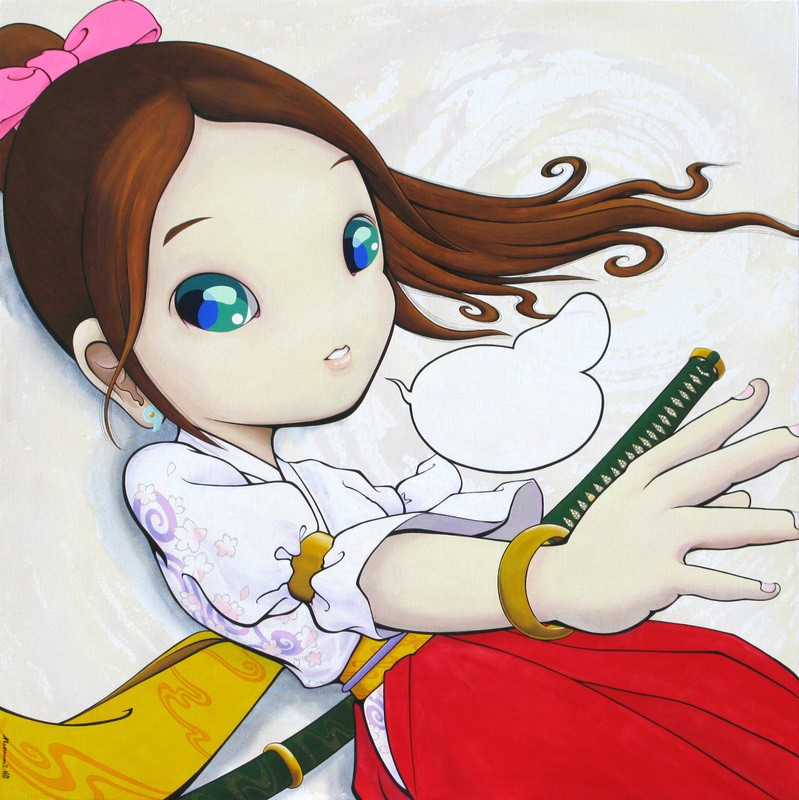 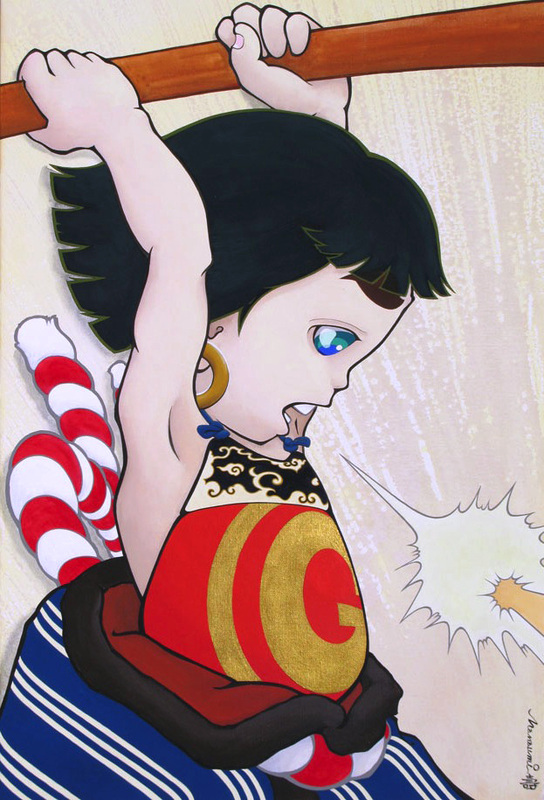 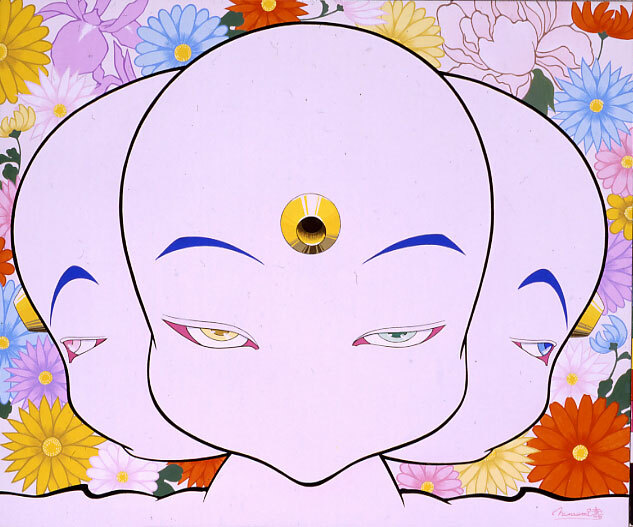 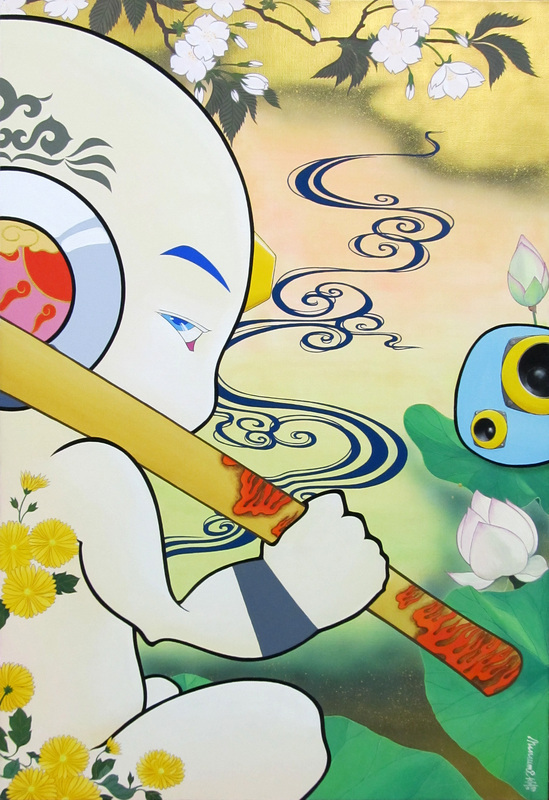 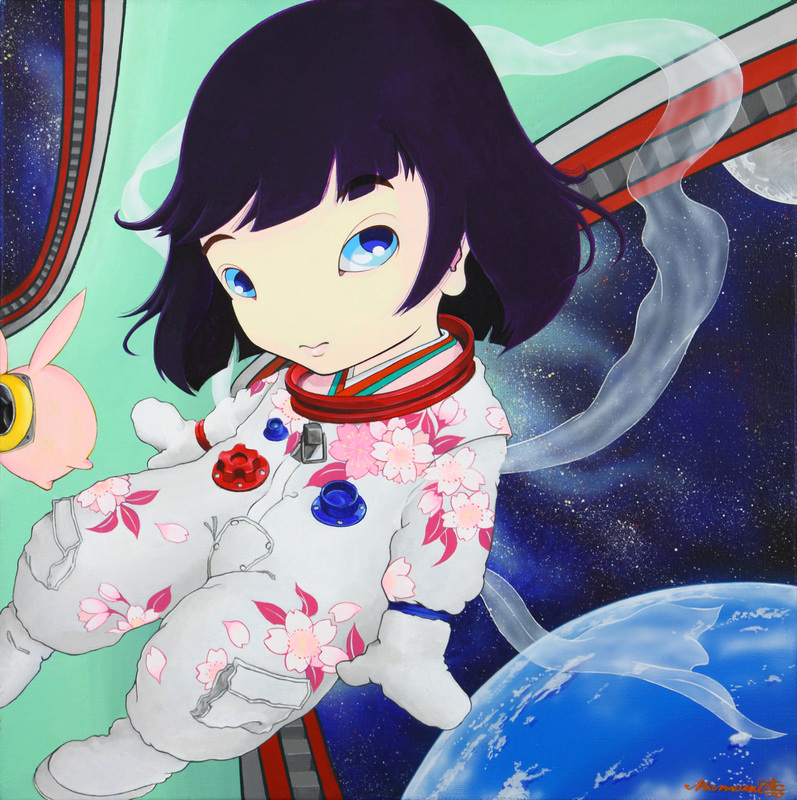 Hisashi Nanaumi's painting features its flat pictorial space and anime-style characters. 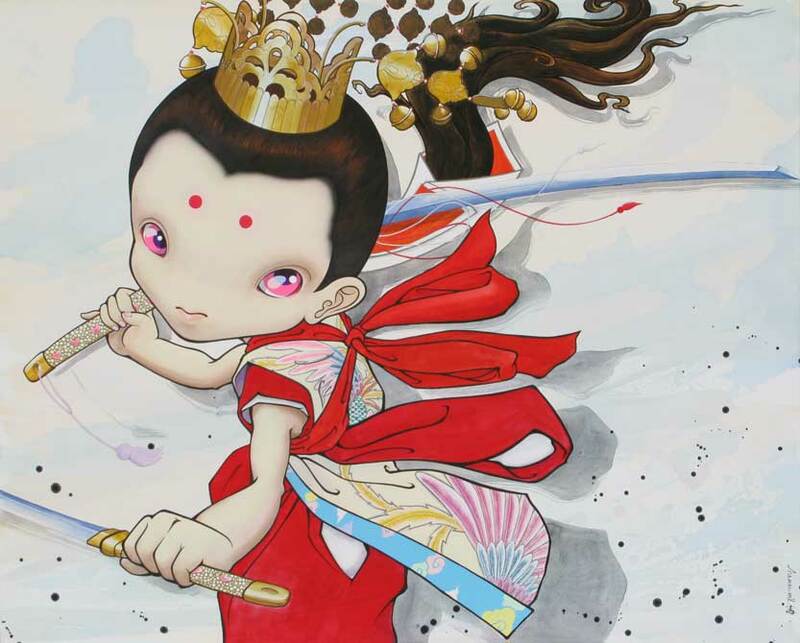 From traditional fine art to manga and anime format. 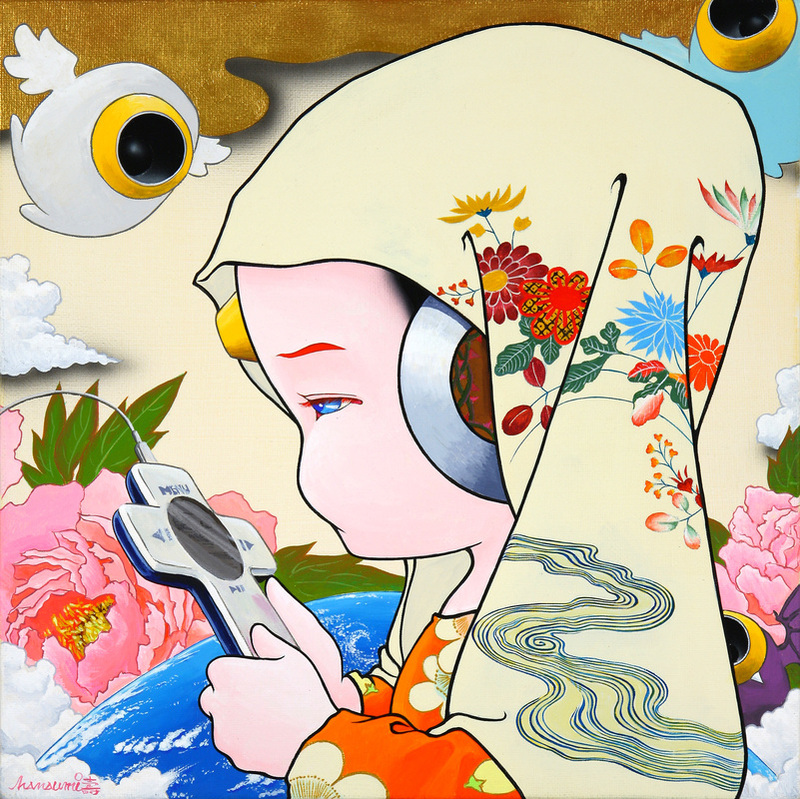 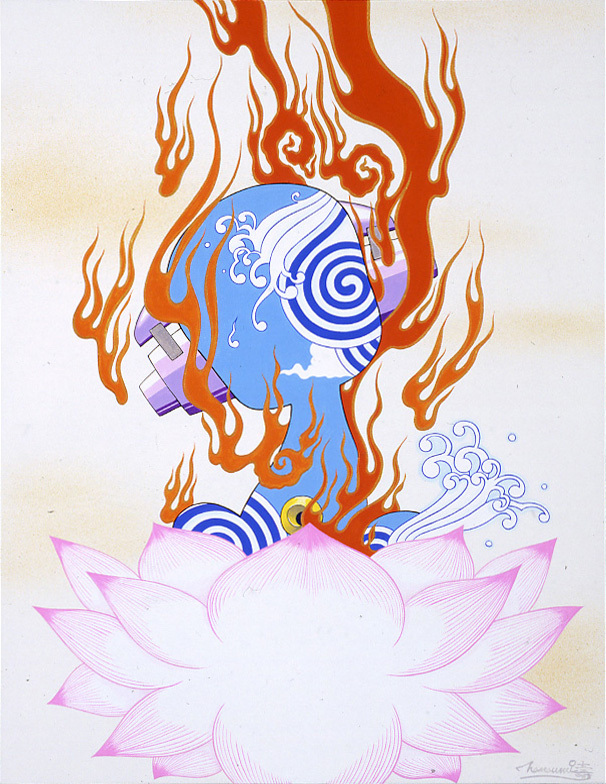 Using major approach in Japanese aesthetic, the artist creates hybrid images of traditional Japanese motifs and contemporary objects. 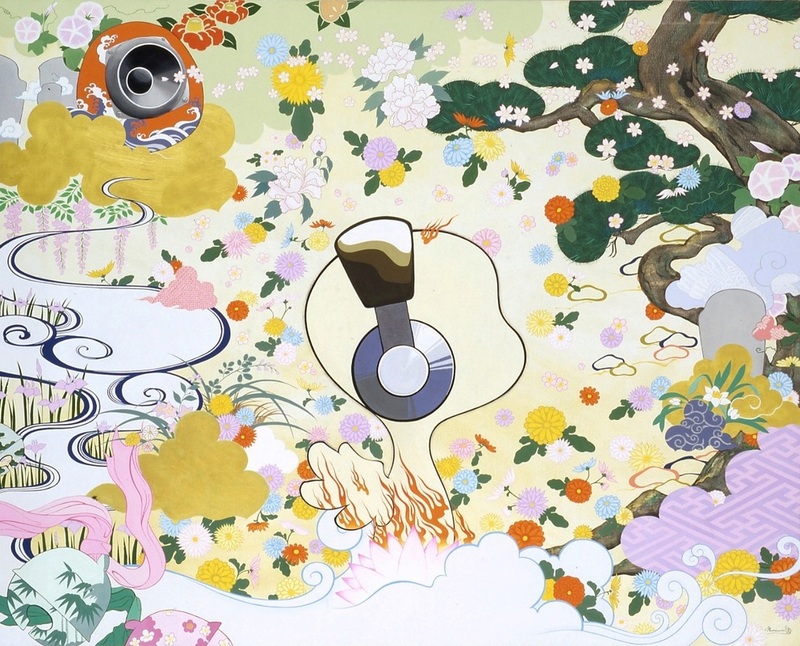 His works functions as his statement which raises the issue of the sense of value in current Japanese art fields and institutions.